Far from the madding crowd, some 1.5 hours from Cape Town in the sleepy Overberg, you'll find Greyton, a peaceful and picturesque village at the foot of the majestic Sonderend mountain range. Mighty oak trees, original thatched cottages, leafy lanes and breath-taking mountain views form the backdrop to this country gem that will enchant and delight you. Greyton is best explored on foot or bicycle – preferably with a basket up front! The scenery is fabulous, the coffee shops tempting and the villagers friendly. No matter how appealing it is to limit oneself to a bit of gentle meandering, it would be a shame not to take the time to explore some of Greyton’s outdoor activities whilst here. A hiker and mountain-biker’s paradise, there are well-marked trails for every level of fitness and expertise. 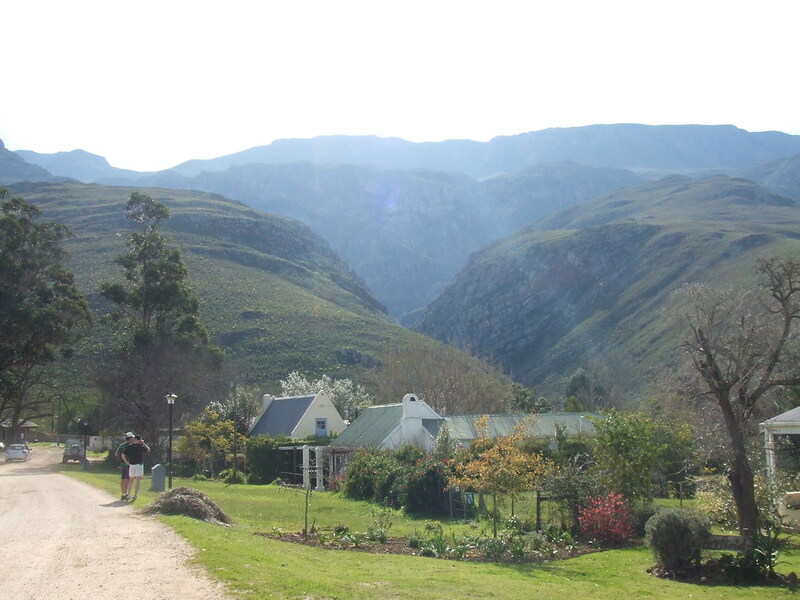 Greyton is the starting point for the famous one- or two-day Boesmanskloof trail – more commonly known as the Greyton-McGregor trail – and other activities include tennis, horse-riding, yoga and bowls. Golfers can enjoy a round at Caledon or Kleinmond, the two municipal courses within an easy drive of Greyton, or the magnificent privately-owned Arabella Golf Course, which is ranked by Compleat Golfer magazine as the number one golf course in the Western Cape. 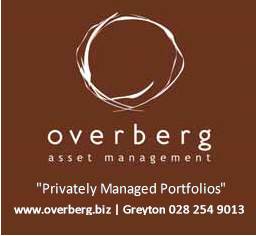 Visit Greyton Tourism for more information. Our local bike shop, Rockhopper Adventures has recently moved to Somerset West but have left an “agency” with some spares and emergency supplies at Vanilla Cafe. In case of an emergency contact Corne of Rockhopper Adventures and he may be able to help as he is often in Greyton. Genadendal, ('Valley of Grace') six kilometers outside Greyton is the first and oldest mission station in South Africa. Genadendalwas founded by Georg Schmidt, an early worker of the Moravian Missionary Society in 1738 when he settled in Baviaans Kloof (Ravine of the Baboons) in the Riviersonderend Valley. • Moravian Church has the largest percentage of inhabitants as members. Church services take place on Sunday at 10h00 and 19h00 (summer) and 18h00 (winter). They are known for their beautiful choir singing and brass band performances. • Genadendal Drukkery / Printing Works are one of the oldest Mission Presses in South Africa which is still in operation. • Moravian Restaurant serves traditional foods, bookings are essential beforehand. You can phone for a menu or give your own order. • Art & Craft Centre / Gift shop / Information Centre / Bakery have a variety of local products. Medicinal honeybush teas, once a favourite among the Khoi tribe is presently harvested in the mountains of Genadendal by local residents. Stone ground flour baked bread and muffins, interesting tribal Khoisan artifacts are all among unique Genadendal products. • Genadendal Church Square - All buildings were declared National Monuments in 1980. There are 24 tourist attractions that form this historical place, among them are the Mission Museum with its 15 exhibition rooms, displaying a unique collection ranging from household equipment, musical instruments, medical equipment, tools, books, printing presses, the oldest fire-engine and oldest pipeorgan in the country.